The East Jamaica Conference purchased an old building, and the members fixed it up and called it the Good Samaritan Inn. 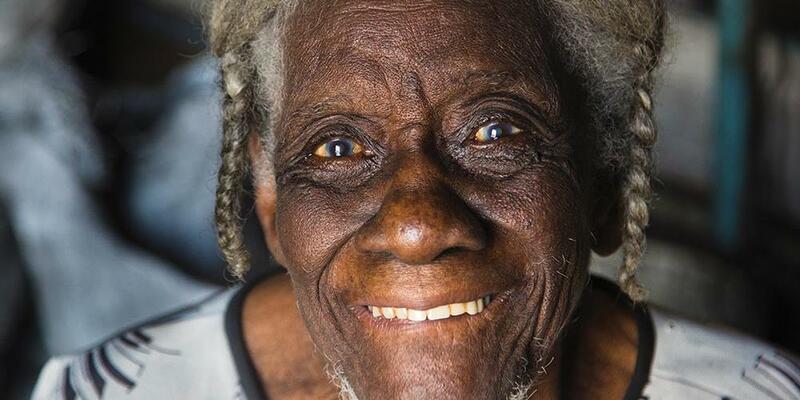 Meet Joyce, a 90-year-old woman who lives in Kingston, Jamaica, in a broken-down shack with a caved-in roof. Frail and poor, she never knew if or when she would have something to eat. Then Seventh-day Adventist Church members began bringing her food three times a week. Joyce is only one of thousands of poverty-stricken people in Kingston who somehow manage to survive in spite of their meager access to the basic necessities of life. Local church members began responding compassionately to their neighbors’ hunger by distributing sack lunches. But as they got to know them, they discovered that their needs were greater than they had ever imagined. The Adventists wanted to do more. The East Jamaica Conference purchased an old building, and the members fixed it up and called it the Good Samaritan Inn. Now in its eighth year, this urban center of influence serves hot lunches four times a week to more than 900 people. In addition to its kitchen, shower, and laundry facilities, the inn offers haircuts, clothing, and educational assistance. It even provides an emergency refuge for women and children. The Good Samaritan Inn is open six days a week and draws hundreds of people each time. The staff always begins their ministry with a short worship. “We provide a wholistic ministry that reaches the physical, mental, social, and spiritual needs of the people in our community,” says inn manager Vermont Murray. The Good Samaritan Inn received part of a Thirteenth Sabbath Offering this year to help build a health clinic that will provide the community with dental, maternal, and basic medical care. There are also plans to establish a training center that will equip people with skills so that they can provide for themselves. Thank you so much for supporting the Good Samaritan Inn with your donations and prayers. Many people have been led to Jesus and baptized as a result of its ministry.